The premise of the “GP Floor Report” has become widespread in the MTG finance community. Players and speculators around the world benefit from the most up-to-date price action at these significant events. 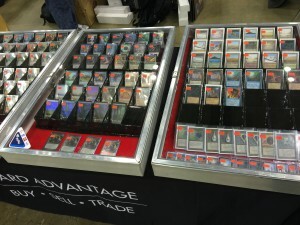 Last weekend was no exception – Grand Prix Columbus was filled with Magic vendors eager to acquire key cards to add to inventory. There was one distinct difference this time: I was there. This is truly a rare occurrence, as my travels to large events are often severely inhibited by adult life. But with a Legacy Grand Prix exceeding 2,000 players less than two hours away, there was little to stop me from attending. And while I’m sure many of you would be thrilled (more like entertained) to read about all the misplays that contributed to my woeful 2-4 record, I think there’s a different priority worth focusing on: the finance. That vendor buying Mirror Universe needed one copy for a Legends set. I sold them one of mine for that $44 (it had a very slight nick in it). They were also paying $30 on Noble Hierarch at a Legacy GP, and I had 5 I just needed cash for, sold them too. Hareruya pays awesome on things IF they can sell it that weekend. They pay crazy well, then list it for barely more than they got it for, knowing there’s about 67 people in the room who need it and will buy it at that price if they were standing at their booth. That’s why their buylists are awesome, except on stuff like power, Alpha/Beta duals, etc. It’s not going to sell that weekend, so they don’t tie up cash and/or booth space. Hareruya was however an awesome place to pick up cards. I paid $900 cash on the spot the second I saw a gorgeous Tabernacle (it had one small imperfection to the naked eye), and traded it away into some other stuff in a larger deal for significantly more important things (to me anyhow). One store that continues to impress me is Wizard Tower. Based out of Canada with a US affiliate now, they pay well on plenty of things, and aren’t afraid to pay a premium over buylists for very nice condition cards. They’ve often got some sweet deals mixed into their cases, and are usually worth a stop by their booth every few hours as new stock comes in. Some of the other stores I just can’t remember their names… I can tell you exactly where they were on the floor (man… that one poor store that was stuck in the back corner away from literally everyone… if I spent whatever it costs to vend at a GP and got stuck there… I’d be absolutely livid. Thanks for the additional data, very helpful. I didn’t realize they were looking to complete a Legends set – that certainly makes sense. I would have snap accepted $44, but the fact they were downgrading my copy to SP (appropriately so) made the offer lower and therefore not worth it. I’ll have to check out Wizard Tower more closely next time, good to know! I didn’t get a good luck at the buying front because I was mostly focused on selling, so the additional data is very helpful. Thanks again for the builds! And yes, there were a couple vendors with very suboptimal placement and that was definitely unfortunate. When it spiked on TCGPlayer it was because only very few copies were available, apparently a single LP copy was deciding the price and it was listed quite high. QED2, who you may remember from the QS forums, then decided to mess with the stats and list a copy for $10k. After which vendors just followed each other blindly. Well considering I watched SP copies sell for $400 to a few dealers, and MP/SP copies sell for $350 to dealers, I think the price is somewhat realistic and they don’t want to be left out without the card in hand. It is one of the best cards in 93/94, if not the best. It goes in virtually any deck. The only card that can better it is Ancestral Recall if it cost 1 rather than U. Ancestral just doesn’t go into every deck (but pretty much every deck). Library does. This is the same sequence of events I had observed. But I also wondered if there was some momentum behind the movement nonetheless – certainly not to the tune of $10k, but perhaps a more gradual rise. Well, if there was, vendors were not really buying into it. Let’s watch trends closely these coming weeks for a more definitive update on Library’s price. It’s a frequently played card from an underprinted set that’s on the reserved list. Wait long enough and it will start rising. The perspective to take with cards like this is whether you can afford it now and if you can to buy / trade for it. You may not see it rising in the coming weeks, but it will only go higher over time and you will eventually regret not buying in now. I’ve had my copy since about ’00, one of the few things I never considered trading during that time. Actually got it on the table recently and refrained from playing spells for 3 turns to get it active, totally overpowered my opponent that game. I tried it in old school, but in an aggro deck it feels clunky. 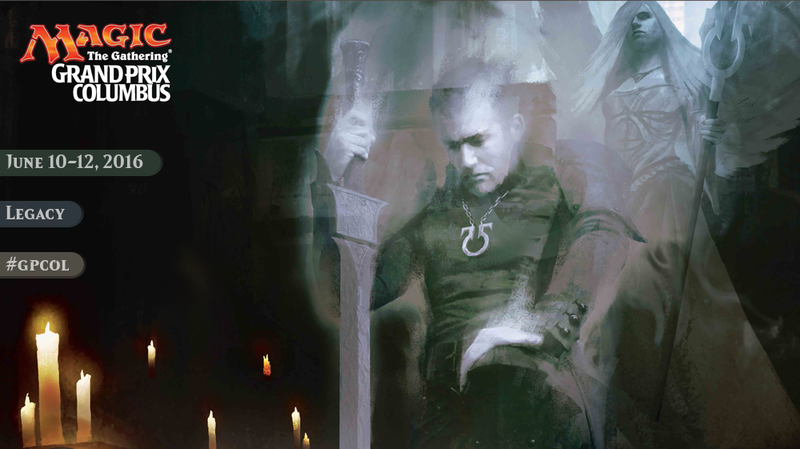 How much better is turn 1 library vs. turn 1 Dark Ritual into Hyppie? And as for any turn beyond the first couple, I have to imagine drawing Hyppie is better than Library in an aggro build. Genuine question here, since I’ve done both. I tend towards control(-ish) and combo(-ish) decks, I would never play it in aggro as using it to draw a card per turn actually slows you down when it won’t give you mana and makes you want to keep at 6 card minimum for your hand. I mostly play multiplayer with Commander or Vintage deck construction rules anyway, so aggro is never really an option.